The web is one of the most effective medium to enhance and market a company’s global presence. We create all types of graphics to visually represent a business and all its aspects. What is it that helps you get noticed in a crowd? An EXTRA edge! Let us take your business a few notches higher with a Website that speaks volumes about you and establishes your identity bang on! Let us create Magic with out-of-the-box Graphics and let us get you noticed with Top- rated SEO. Let us do the work as you sit back and watch your business acquire that extra edge over others! Want to get your Website developed from scratch, or get it redesigned? Your website can also be a great platform to sell your products and services. 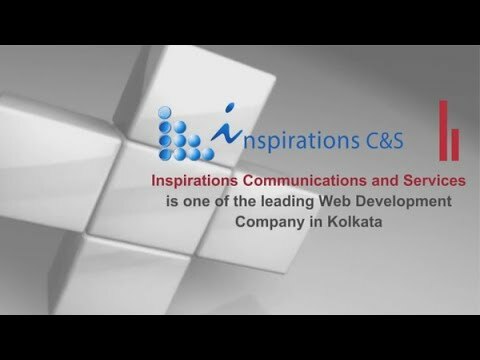 We at Inspirations build ecommerce websites to cater to those clients who wish to sell through their website. Whether it is a one product shop or multiple products store, sell customized packages selling or multiple services – we cater to the varied and unique need of our client. From setting up all types of payment options to creating promos, from setting up easy return policies we provide comprehensive services for your e-shop. Your website is your brand identity. It gives a total overview of what you offer, your credentials, and your brand value- so it is extremely important that it should reflect who you are and what you do. An off the shelf template can hardly do it, that is why we offer custom solutions to create your website however small or big it may be. It is also important that you have the ability to keep your website up to date. Through custom Content management solutions we provide our client the ability to add, edit and update the website with extreme ease. Graphics Design : Corporate Identity Design-Brochure, Flyer, Visiting Card,letterhead etc. & Logos, Icons, Banner Design. Flyers, Brochures, handouts, leaflets are important tools to market your products or services. An aesthetically done flyer or brochure not only grabs the attention of a potential client, it also has the ability to sell your product or service with effectiveness. We offer corporate identity packages perfect for anyone wishing to start a new business, or any company requiring a fresh start. Digital Marketting: SEO & SMO, Facebook Marketing, Linked In, Twitter. SEO (Search Engine Optimization) is the process of making a web page easy to find, easy to crawl, and easy to categorize. It is about helping your customers find your business from among thousand of other companies. SEO is an integral part of any digital marketing strategy. Social Media Marketing (SMO) has gained immense importance because of the increased usage of viral marketing approach on various social media sites. We plan and execute advanced social media marketing strategy through- graphics,content for extensive Search Engine Marketing (SEM), like Facebook Marketing,Twitter post, YouTube Video addition, to assure constant and regular brand positioning.